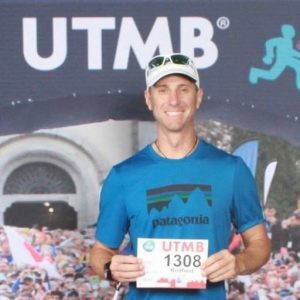 We are THRILLED to report that longtime Camelback Coaching athlete Toby Baum completed the most prestigious ultra-running race in the world, the Ultra Trail du Mont Blanc, or UTMB. In this race, the pinnacle of all ultra-running events, he ran 103 miles around Mont Blanc, starting and finishing in Chamonix, France, in 42 hours and 57 minutes, placing 1129th out of 2561 starters. This event is grueling–782 runners DNF’d–but Toby carried on to cross the finish line on Sunday, our very first Camelback Coaching athlete to ever start and finish this race. We cannot overstate how big a deal this is in the endurance racing community. Just incredible. Well done, Toby. And in more news –this also falling into the EPIC category–another of our longtime CC athletes, Frank Smith, finished the Hamilton Nightglow Marathon in Ohio in 5:45 and took 3rd in his AG. This was Frank’s 128th marathon. Not a typo. 128th. For six years in a row, Frank has run a marathon or ultra every month! What a streak! To you, Frank, we offer another well-deserved well-done. Just incredible endurance racing news all the way around this week. Great job, guys! This entry was posted in Athlete Photos, Results on September 6, 2018 by tekgrl_admin.